Our strategic partners are innovative industry leaders committed to excellence. Biological components of managing your golf course. We offer the highest quality products and services with value and results you can consistently trust. Soil Solutions through a better understanding of the physical properties of your sand-based & push-up style greens. Understand your soil composition and its impact on all facets of plant growth, health and durability. 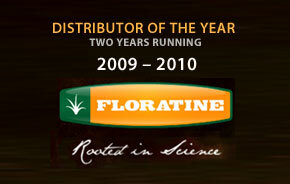 The industry leader in Foliar and Soil Nutrition — Rooted in Science. Triterra: the Compact, onsite, Microbial delivery system! Sharpening systems to maintain today’s sophisticated mowing machines in perfect cutting condition. Greenleaf Technologies - TurboDrop Air Induction, Venturi nozzles for maximum on-target performance. © 2008 - 2010 Pinnacle Turf, Inc. All rights reserved.